I woke up on a lazy morning post-Diwali with the alarm singing the “Good Morning” tune and could see hazy skyline until far. There was a silent chillness in the air and I realized that winter had dawned. In an attempt to grasp the fresh morning air, I struggled to get out of bed and dragged myself to the balcony. The only incentive being the tranquility of pre-sunrise sky where the breeze would energize the entire day. But this was an illusion which struck me as soon as I opened the balcony door. I was in the mood to stretch myself while allowing inflow of coolness but at soon as I attempted this, I was slapped with nauseating and suffocating smoke in my lungs snapping me out of my dream world. This was the truth of this “Good Morning” when fresh air is a luxury one can seldom afford. 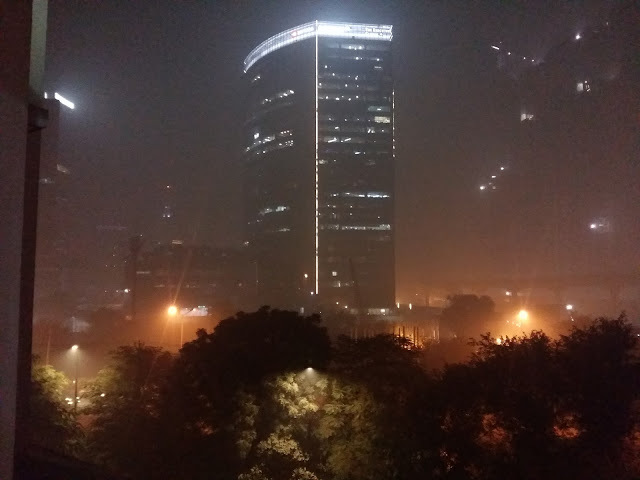 The haziness of skyline was not because of misty freshness but the smoke settled of moisture droplets. But was I the first to witness this reality. No, the world has already seen this umpteen times. 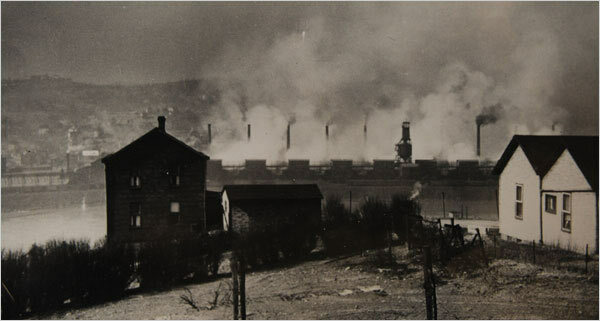 While the first convincing linkage of a substantial increase in human mortality and an event of air pollution was in Glasgow in 1909, when about 1,000 deaths were attributed to noxious smog during an episode of atmospheric stagnation, there are other anecdotes from across the globe demonstrating the impact this menace is going to create. It was ugly, yellowy saffron and thick and had a strong burning sensation – that is what the victims of the incident had to see. Donora is an industrial town located in a valley near Pittsburgh in Pennsylvania. It was early winter of 1948 when the town was covered by a dense smog owing to specific weather condition. The town lies in a valley and an air envelop entrapped the smoke from the mills within the valley. The absence of wind stagnated the cloud of smog over the town. Though the build out was gradual but authorities took the time to realize what was occurring to the town. A Halloween Parade was conducted as planned amidst the smoke and the reality only struck when the situation worsened. Now, is it only the weather to be blamed? This smog was literally described as “Murder from the Mills”. Donoro’s was primarily an industry based economy and mills was everything for the town and a sustaining force. The location further favored the industrialization with the river providing the necessary ingredient. It was the time when America was at the helm of productivity and this was the first instance when the government realized that air pollution needs to be regulated. It was all a cost of prosperity and progress. People started moving out of the town. It was decided that it would be even risky for firefighters to carry oxygen tanks through the smog so rescue operations were suspended. Community centers turned graves as the situation worsened. If was only when rainstorm wind came through 5 days later which lifted the smog and made the town livable again. The trapped toxic smokes from the mill had left 20 people asphyxiated and 7000 hospitalized in this town of 14,000 residents. Until many years, mortality rate remained higher in town compared to neighboring communities. During post-incident discussions, serious questions were raised regarding the lack of reactiveness of authorities. The situation could have been salvaged had the mills been closed sooner as they kept adding fuel to the fire. To plan for the future course of action, a high-level conference was conducted in 1950 and Britain was part of it. The recommendation came out as the creation of smokeless zones where all provisions to avoid smoke would be implemented. Further, restrictions on industries and pollution controls provisions were mandated. Local communities in both countries asked for quick implementation of these recommendations. Regulations and administrative guidelines were actively sought. However, the government in Britain had a different idea. Their aspirations of cashing in on rapid development and industrial revolution were based on burning as much coal as they could manage. This became the initial step towards what happened in London years later. 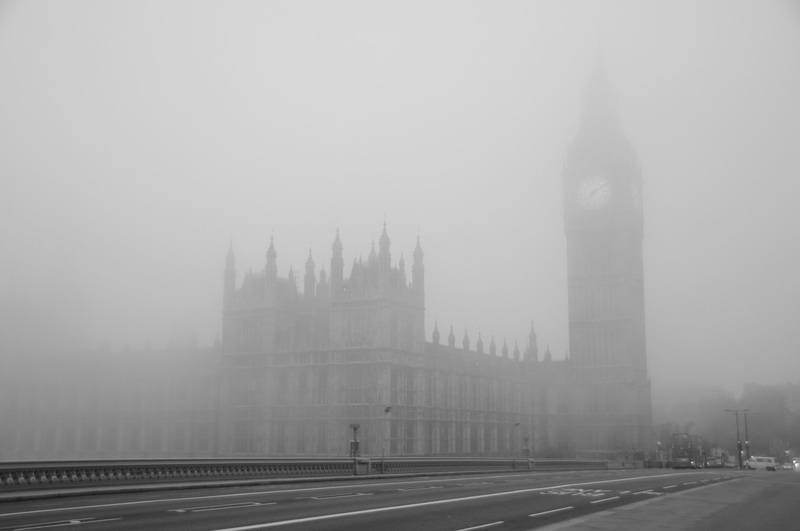 Residents of London woke up to a thick fog which came from nowhere. London is infamously in news for its weather from time to time – whether a blizzard or fog which is somehow an indicator of good summer – but this time the situation was different. It was early winters in December in 1952 which created havoc of unmeasurable extent. This was the Great Smog of London which resulted in smoky clouds throughout the city. Residents describe the haze as warm, smelly, dirty, black, smoky fog engulfing everything like a film. The traffic was brought to the stand still and an auditorium performance had to be stopped as spectators could not see the stage. Official toll is 4000 but unclassified information puts the number at 12000. In the after hours of the incident, the minister in-charge was callous in his approach. The authorities blamed the weather and the cold air which did not provide enough heat to disperse particles causing the pollution. The problem started with the setting in of Industrial Revolution and such incidents with varying impact had occurred earlier too in 1873 (leaving 700 dead) and 1880 (leaving 200 dead). Artists have for long depicted the London fog in colors ranging across the spectrum - brown, orange, yellow, gray and black being prominent choices. London’s love for open fires and chimneys was blamed for pollution but these were only the tip of the iceberg. There were power plants right in the center of the city and their construction continued unabated. The government was (over)confident in its ability to fight pollution using technology, however, the reality struck late and the technology itself made things worse. Electric trams were replaced by diesel buses which became a symbolic front bearer of movement towards the polluted air. London was surely unprepared for such massive incident. The solutions that were brought forward were short term in consideration and hole-plugging attempts in nature. Gas masks were distributed throughout the city to save residents from next fog. Doctors recommended people to leave the city to save themselves from the aftermath. However, none of these were going to solve the basic problem. Finally, Clean Air Act was introduced in the British Parliament which mandated restrictions for industries to add pollution to the air. Then, alternatives to power plants were sought and attempts were made to shift them out of the urban areas. The point being all these steps came in too late and the after loss of 10s of 1000s of lives. It was a usual Tuesday morning in the financial capital of the most populous country in the world. However, there is a different scene which wasn’t usual. Roads were empty, usual rush absent, schools closed and people indoors. As part of the emergency response plan, 2,100 factories in the city and on its outskirts were ordered either to stop or scale back production in an effort to cut emissions. 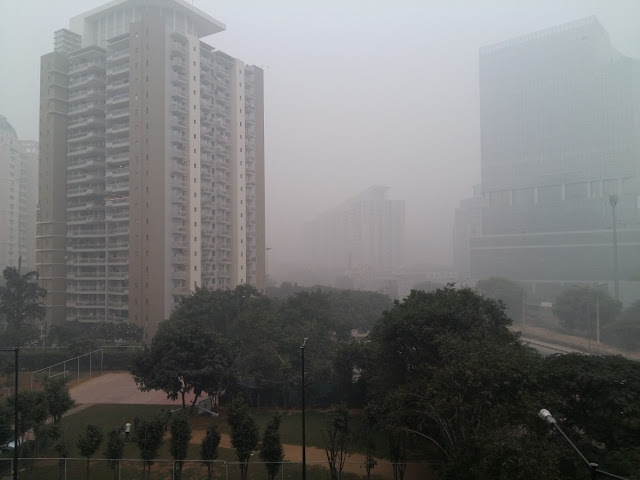 The government had announced a Red Alert owing to severely high levels of pollution in the air. “Stay Indoors” was the message from the government and residents obliged. With an air quality index (AQI) of over 250, more than twenty times the level recommended by the World Health Organization, the city was shrouded in a thick sepia-toned air. The city remained helpless and sieged for next three days. 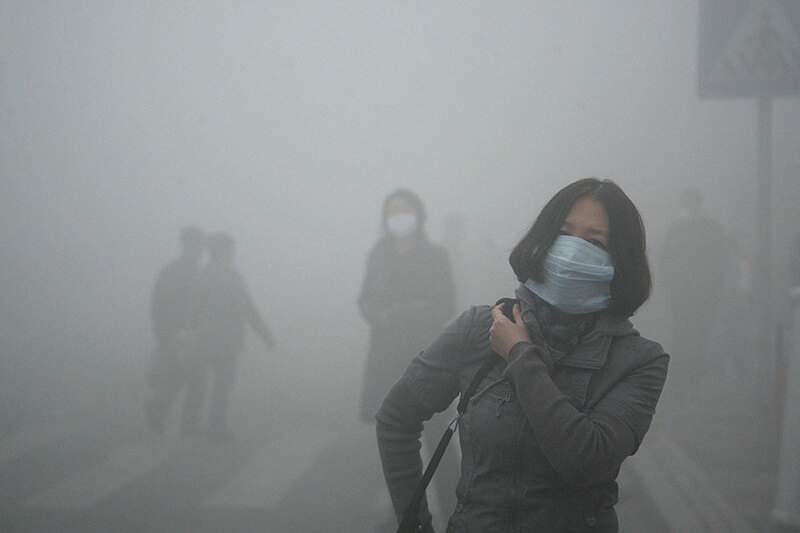 Pollution in Beijing is a common, everyday issue that millions of people deal with in the bustling city. Beijing's industrial coal burning and high concentration of motor vehicles are significant factors in producing the poor air conditions. The thick smog was finally broken up by a front that delivered a fresh air mass to the city. The entire country was in jubilation and celebratory mood as post-Diwali festivities were still in the air. But happiness and joy had an unpleasant companion when the air is concerned – Particulate N-25 and N-100s. Residents woke up to a coughing and inflammatory lungs leading to short breaths. Kids were crying unaware of the hazard they were inhaling and elders had a tough time keeping their breath steady. Haziness on the outside only confirmed the suspicion as soon as one moved out of the house. What seemed like an early arrival of winters was nothing but poison in the atmosphere. Everyone was shocked as to what had bestowed on the capital city. It was not that higher level of pollution was not expected as the fireworks were supposed to create an aftermath. However, this was not something that the city was prepared for. It was definitely a cloud that created doubts in every mind as to what this was. Smoke emanating from farm fires raging across agricultural fields of neighboring Punjab and Haryana worsened the situation. Before things were clarified and issues understood, what ensued was a round of blame games where each of the stakeholders came forward with enough confidence to put another stakeholder to the task. Each of the states involved has a reason for the hazard which made other the cause of sufferings. However, what lacked was a way forward. Everyone knows that someone is at fault, but before the culprit is blamed, the need of the hour is to find a solution to escape this menace. The ideal PM (particulate matter) of 10 has reached toxic levels of 999. For context, that is more than 10 times higher than what is considered safe to breathe. The PM 2.5 rose to 743. If someone knew the above three stories, a sense of Deja-Vu was sure to be felt as the government closed schools, requested residents to stay indoors and doctors prescribed leaving the cities. Green Tribunal has asked to stop all construction activities temporarily and air purifiers are flying off the shelf. Frantic social media messages did not help as they only escalated the concerns and fed rumors. However, all these measures are again, short term and ad-hoc at the best. 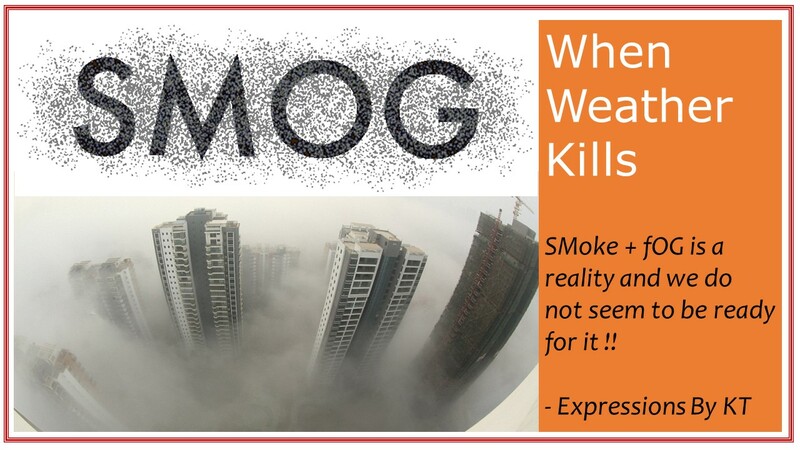 Smog is only a symptom while the disease is much deeper. Pollution is not only what is visible but a truth of everyday life. What the need of the hour is to establish a long-term plan to reduce pollution in itself. Judiciary has stepped in and is asking the government to define policies and disaster management plan but that would come in due time. Until then residents of Delhi National Capital Region are doomed to breathe in this air which is going to kill them gradually. Meanwhile, make sure to mask your face and ensure plenty fluid intake to mitigate the impact of the smog blanket and prevent themselves from choking.